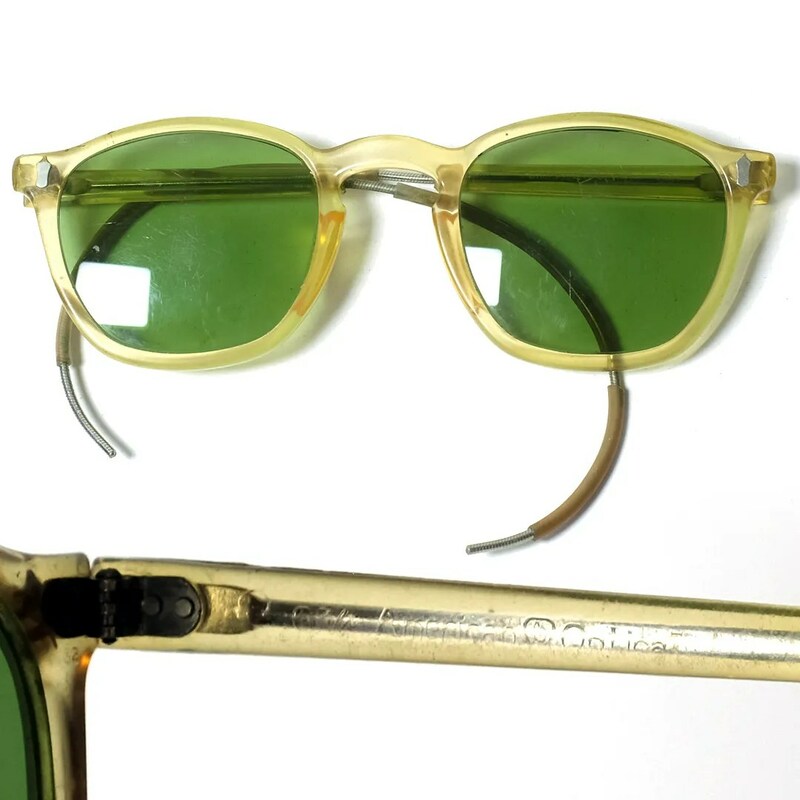 These vintage sunglasses were made by American Optical in the 1940s-1950s. They have transparent yellow frames and green lenses with cable temples. They measure 5-1/8″ hinge to hinge and 13/16″ across the lens. 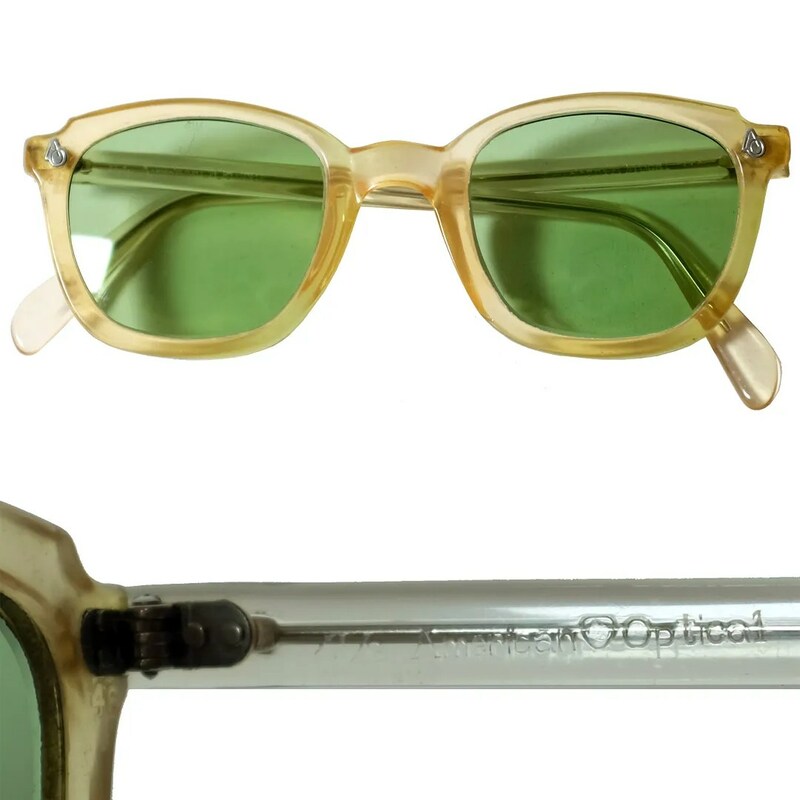 These vintage sunglasses were made by American Optical in the 1940s-1950s. They have transparent yellow frames and green lenses. They measure 4-7/8″ hinge to hinge and 1-3/4″ across the lens. 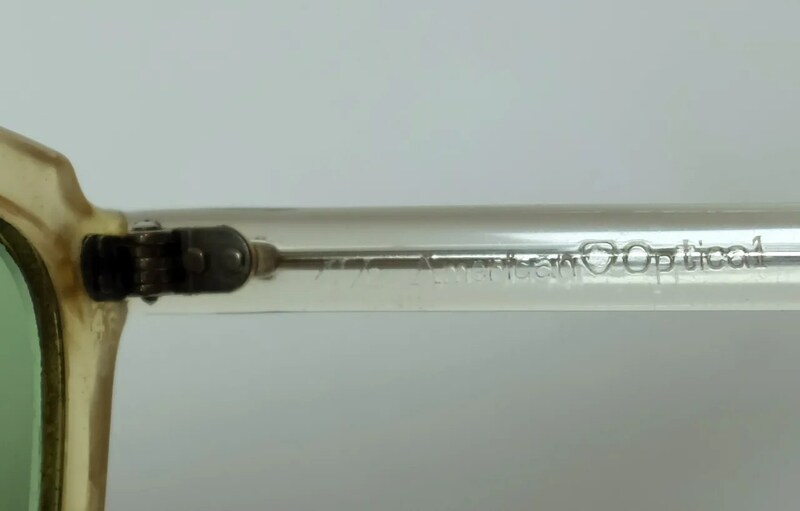 This entry was posted in Accessories and tagged 1940s, 1950s, American Optical, green lens, sunglasses, transparent frames, vintage by Spencer Stewart. Bookmark the permalink.